Dr. Bransky grew up in the north suburbs of Chicago, Illinois. He received his Bachelors and Masters of Science degrees from the University of Illinois at Urbana-Champaign where he was recognized as an outstanding physiology teacher. After working in the Anti-infective Microbiology Department of Abbott Laboratories, Dr. Bransky went on to receive his medical degree from Rush Medical College in Chicago, Illinois. While there he was elected into the medical honor society Alpha Omega Alpha and awarded the Anthony Schmidt Prize in Anatomical Sciences. He also served as an Anatomy instructor for fellow medical students and occupational therapy students. 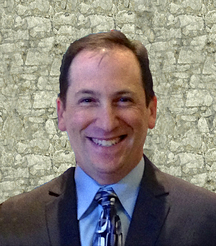 Dr. Bransky completed his internship and residency in general surgery at the Medical College of Wisconsin in Milwaukee, Wisconsin where he was awarded the Society of Laparoendoscopic Surgeons Award for Outstanding Laproendoscopic Surgical Skills and the Barney B. Becker Resident Teacher of the Year Award. He also served as a Resident Teaching Coordinator. Following residency, Dr. Bransky went on to obtain a fellowship in Trauma Surgery and Surgical Critical Care at the University of Texas - Southwestern Medical School. Dr. Bransky resides in the area with his wife and three children. In their spare time, he and his wife support Autism and Breast Cancer awareness groups.